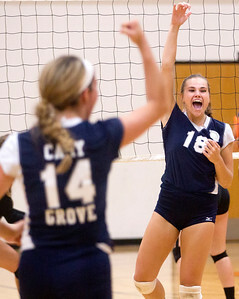 Sarah Nader- snader@shawmedia.com Cary-Grove's Emily Schuster celebrates after a point during Thursday's match against McHenry September 3, 2015. Cary-Grove won, 2-0. 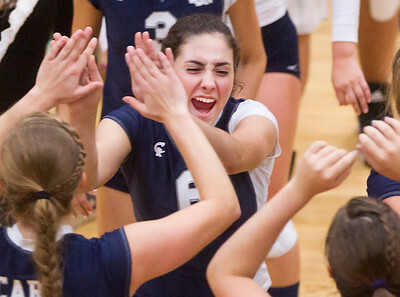 Sarah Nader- snader@shawmedia.com Cary-Grove's Kate Michie celebrates with her teammates after Thursday's match against McHenry September 3, 2015. 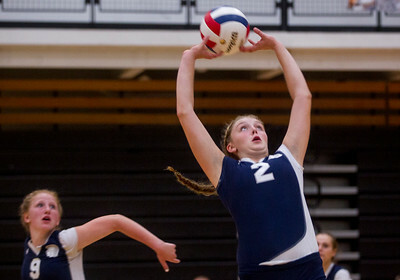 Sarah Nader- snader@shawmedia.com Cary-Grove's Allison Splitt returns a ball during Thursday's match against McHenry September 3, 2015. Cary-Grove won, 2-0. 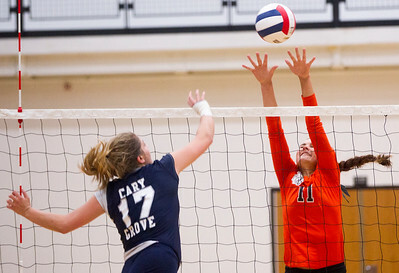 Sarah Nader- snader@shawmedia.com McHenry's Alexandria jumps to block a ball hit by Cary-Grove's Alessandra Vasquez during Thursday's match a September 3, 2015. Cary-Grove won, 2-0. 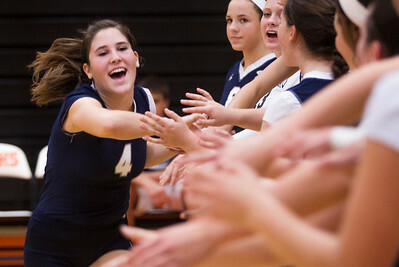 Sarah Nader- snader@shawmedia.com Cary-Grove's Emily Schuster celebrates with her teammates during Thursday's match against McHenry September 3, 2015. Cary-Grove won, 2-0. 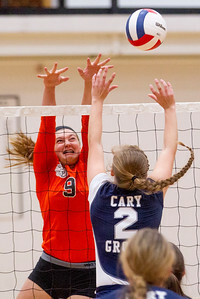 Sarah Nader- snader@shawmedia.com McHenry's Ava Pauly hits the ball over during Thursday's match against Cary-Grove September 3, 2015. Cary-Grove won, 2-0. Sarah Nader- snader@shawmedia.com Cary-Grove's Erin Olson sets the ball during Thursday's match against McHenry September 3, 2015. Cary-Grove won, 2-0. 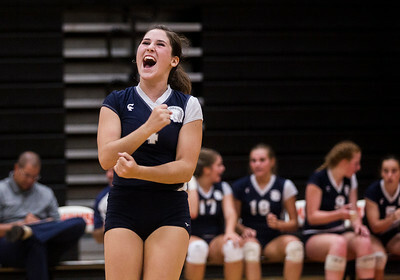 Sarah Nader- snader@shawmedia.com Cary-Grove's Rachel Rosch celebrates a point during Thursday's match against McHenry September 3, 2015. Cary-Grove won, 2-0. Sarah Nader- snader@shawmedia.com Cary-Grove's Emily Schuster runs on the court during Thursday's match against McHenry September 3, 2015. Cary-Grove won, 2-0. Sarah Nader- snader@shawmedia.com McHenry's Ava Pauly jumps to block a ball during Thursday's match against Cary-Grove September 3, 2015. Cary-Grove won, 2-0. 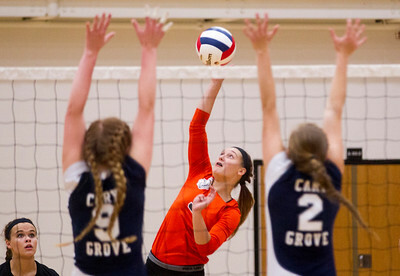 Cary-Grove's Erin Olson sets the ball during Thursday's match against McHenry September 3, 2015. Cary-Grove won, 2-0.